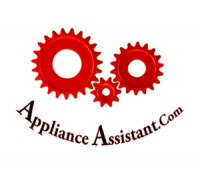 Top 11 Most Common Appliance Problems! A sheet of ice on the floor of the freezer is generally caused by a plugged up defrost drain. 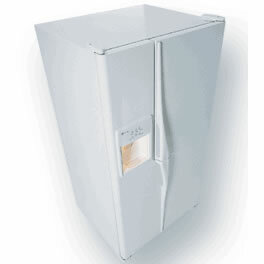 If you have a top freezer model you may even notice water dripping into the refrigerator compartment from time to time. When the freezer performs a defrost cycle the melted water should be carried down to the drip pan under the refrigerator via the defrost drain. This drain can become clogged up with all kinds of stuff from food to plastic bags. In some cases the defrost heater is not close enough or hot enough to thaw the drain allowing water to pass through it. By removing the back panel of the freezer compartment you can examine and thaw the drain manually with some hot water a turkey baster and a whole lot of patients. (Unplug the refrigerator first! This will keep you from fighting additional cooling effects from the evaporator coil and protect you from an undesirable electrical jolt.) If the problem comes back and you don’t find any obstruction try installing a drain heater. This little piece of appliance trickery is not an official fix so try it at your own risk! Get a short strip of 12 gage copper wire and shape it like a candy cane, then loosely hang it on the heater. This will carry a little extra defrosting thermal love down to the drain and keep it nice and warm. 1. Don’t crimp it around the heater or you may cause damage. 2. 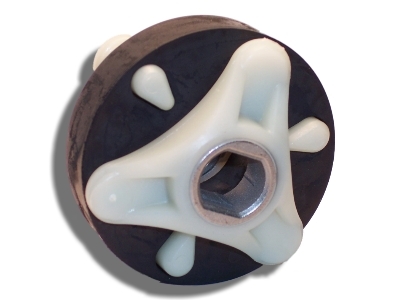 It should not extend more than an 1/8″ into the drain or it may melt the plastic or rubber of the drain tube. 3. It needs to have a long enough hook that there is no danger of it slipping off the heater. Appliance Fix: Unplug the refrigerator, open the doors and allow it to thaw out, remove obstruction, or add a drain heater. 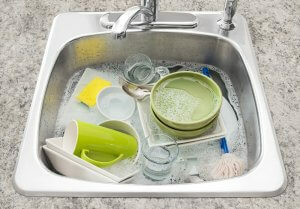 Dishwashers use a part called the float switch to control how much water is allowed to enter the appliance. Normally when you start the dishwasher you would hear water running into the tub, if all you hear is the horrifying sound of silence this might be your issue. The float is a little upside down cup located at the bottom of the tank, inside the dishwasher, that rises with the water level. 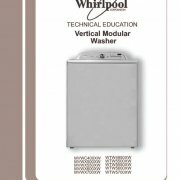 When it has risen to its highest point the dishwasher knows that the tank is full and closes the water valve. Objects like forks, knifes, and lids can jam the small cup in the up position tricking the dishwasher into thinking that it is full, not allowing any water to fill the dishwasher. If you are noticing little floaties in your ice cubes it may be time for a new filter, but If they look like little thin flakes of black or plastic, take a look at your ice maker’s mold. The slippery coating of an ice maker mold tends to break down over time and little pieces of it can find their way into your ice… Not so good. Unfortunately the only way to correct this problem is to replace the ice maker. In the old days before the birth of modern marketing wisdom and planed obsolescence, ice makers lasted for the life of your refrigerator… Today you can expect to replace your ice maker every 4-8 years! That gets expensive if your paying 200-300 dollars every time to have someone else do this simple exchange for you. Keeping you water filter up to date is about all you can do to delay ice maker decay and learning to swap ice makers is a must! Find The Ice Maker of Your Dreams at the ApplianceAssistant.com Store! Most refrigerators that have an ice maker or water dispenser these days have a water filter. These filters a designed to need replacement every 6 months to a year, depending on how much water you use. If this water filter is not replaced regularly your water quality and water flow can be greatly reduced leading to other problems like floties in your ice and water or your ice maker breaking and failing to work properly. Refrigerator manufacturers want to sell as many water filters as possible of course, so they recommend a replacement every 6 months… In most cases 1 year is a safe bet unless you consume a large amount of ice or water. All modern refrigerators have an automatic defrost cycle to melt away that inconvenient ice build up that the last generation just had to deal with. If large amounts of frost is building up on the back wall of your freezer compartment or if the fresh food compartment is warming up and you can still hear the fan in the freezer working you probably have a defrost problem. (Note: the door may also have been left open.) The defrost system is made up of a heater, timer, and small thermostat, if any one of these fail you have a problem. Fortunately this problem is usually simple and inexpensive to fix. Appliance Fix: Replace either the defrost heater, defrost timer, or bi-metal thermostat. Appliance Part Needed: The bi-metal thermostat is the most likely of cause of a problem with the defrost cycle and fortunately the least expensive possibility. “Are you trying to cool the whole house! ?” From childhood we have all become familiar with this phrase, whether something blocks the refrigerator from closing all the way or we just forget to give it that final hip nudge, leaving the door open leads to frost build up that will keep the fresh food compartment of the refrigerator from cooling properly. The good news is there is rarely anything mechanically wrong. Appliance Fix: Unplug the refrigerator, open the doors and allow it to thaw out. 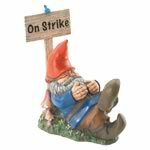 Appliance Part Needed: None… However, if the problem returns in a few days to a week you may have a problem with the defrost system. Gas dryers use a part called the safety coils to automatically open the dryer’s gas valve as the burner is cycled on and off to keep a particular temperature range. These coils often break down and stop opening the valve; this will usually happen after the dryer has been working properly for 15-30 min. if the problem is ignored the dryer will stop heating altogether in a few months. There is a good reason dryers have lint traps! Over time lint can build up inside the dryer or a homes ducting and block moisture saturated air from leaving the dryer; especially in homes with vertical ducting. This effect can lead to very long dry times, low heat levels, and other mechanical problems. A dryer’s duct should be no longer than 10 feet in length; in some cases a water bucket can be used to trap lint. Appliance Fix: The dryer and home ducting can be cleaned out with a vacuum or duct brush, greatly increasing your dryer’s efficiency. 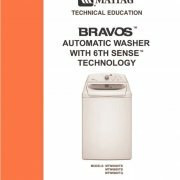 Washers and dryers use a switch to sense when the lid or door is closed to allow for safe operation. These switches often break especially with rough use and door slamming, when that happens the appliance thinks the door or lid is open and refuse to run. Appliance Fix: Replace the broken lid or door switch. Dryers use heat to speed up the drying process, when the heat suddenly stops and your dryer runs cold the most common cause is a blown themal fuse. 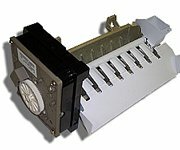 Appliance manufacturers have mounted this fuse in several locations depending on the dryer model but once you find it replacement is simple. 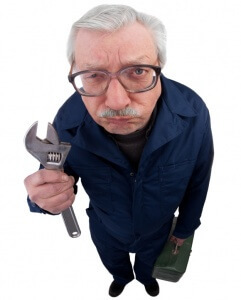 Appliance Fix: Replace the thermal fuse, test the cycling thermostat, and check the duct for blockages. 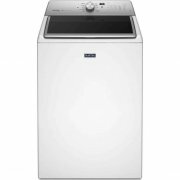 The top loading Whirlpool built direct drive washer is one of the most common washing machines in homes today, also branded as Kenmore, Amana, Maytag, Roper, Estate, and many more. Hearing this sound when the washing machine should be spinning is obviously a little intimidating. Some people head straight for the new appliance store and drop 400.00-1000.00 on a new washer, others pay 150.00 – 200.00 for an appliance repair technician and about 15-30 minutes of repair time. 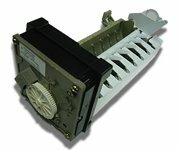 Appliance Fix: Replace Broken Motor Coupling. That’s It Now Go Fix Something!